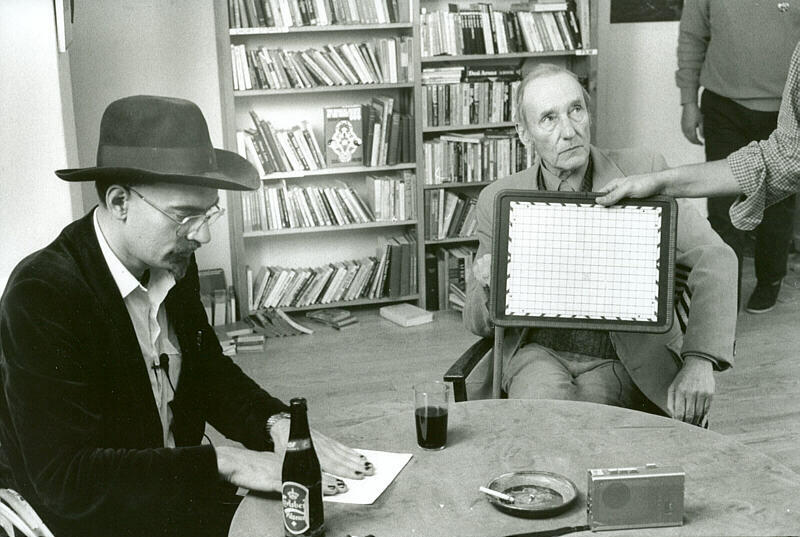 Words of Advice uses William Burroughs’s 1983 tour of Scandinavia as its jumping off point for a feature-length look at the touring and readings conducted by Naked Lunch author during the 1970s and 1980s. 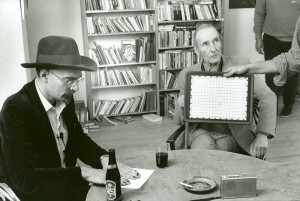 Sparked by the discovery of never-before-seen footage of Burroughs giving a reading at Copenhagen’s Booktrader store, filmmakers Lars Movin and Steen Møller Rasmussen set out on the road themselves to record new material and fill us in on the story of both Burroughs’ later literary works and the growth of his inimitable spoken word career. 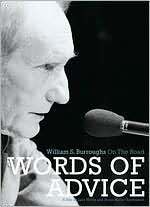 What we came away with after viewing the film was that if you were looking for a speaker with a unique performance style, then Burroughs was your man. As can be seen in the documentary footage from the Copenhagen performance (which is opresented nearly in its entirety in the supplemental section), Burroughs approach would find him simply sitting at a table on the stage in his rumpled jacket and tie and delivering clipped, clever one-liners like some sort of demented W.C. Fields. Some of our favorite witticisms and observations include “Thou shalt not blow pot smoke into the face of thy pet” and “Beware of whores who say they don’t want money.” He also has plenty to say about such rich subjects as organized religion, space travel, Jack Kerouac, kitty cats, medical procedures and gooey insects. Among the handful of talking heads who are on hand to share their insights into Burroughs’ later and final years in the independent film are his companion/assistant James Grauerholz, music producer Hal Wilner and poet John Giorno, who shared a bill with Burroughs — as well as a Manhattan apartment — when he launched his performance career with a landmark reading at St. Mark’s Church in the East Village in 1974.